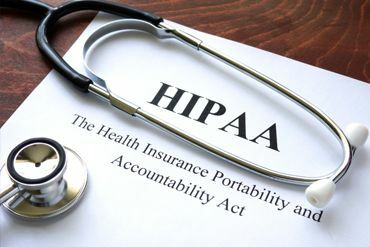 The Health Information Portability and Accountability Act of 1996 (HIPAA) requires any organization storing or transmitting patient information to take enterprise-wide steps to ensure privacy, security and transactions standards. KeyMed Partners achieves the highest standards of accountability on behalf of our clients. Compliance with HIPAA, OIG, FACTA (Red Flag Rules), PCI DSS, and ITIL are of upmost concern. We use compliant technology and procedures to ensure the security of your data. We are constantly improving our performance, and we make confidentiality and data security a top priority. Our systems are comprehensive, accountable and ethical. KeyMed Partners is HIPAA compliant, adhering to all of HIPAA’s standards and ensuring that all personal health information is protected and that the privacy rights of patients are never compromised. All of our practices and procedures at KeyMed Partners, Inc. are HIPAA Compliant. We go to great lengths to provide secure storage of all patient records. We understand the importance of complete confidentiality when it comes to proprietary patient information. Our medical billing specialists are highly skilled and adhere to a strict code of ethics. We maintain the highest ethical and confidentiality standards when working with our clients and their patients.